Enjoy the Murray River without Getting Wet! Holidays mean a lot of different things to a lot of different people. Some people love nothing better than spending the whole time in, or on, the water. Others just want to gather their hiking gear and take to the many walking tracks or discover hidden gems in towns and villages or sampling the excellent food and wine in an area, farmers markets, and the occasional music event. 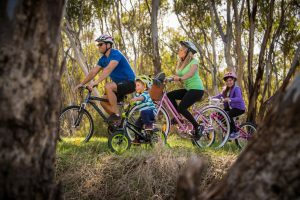 Spring and Summer is a great time to visit The Murray region and experience some of the fantastic regional events and festivals on offer. From Family Fun Carnivales, to Rodeos, Twilight Markets, Food and Wine Festivals, and wonderful music events you won’t want to leave. To read more about What’s on in the Murray River Region, click here to read the full article in Issue 24 of the What’s Up Downunder Digital Magazine.